For use with misting fountains, oil warmers and more. This high quality patchouli fragrance oil is the perfect way to add a great smell to any room without the use of harsh chemicals or expensive sprays. It is a concentrated oil, that when used in small quantities, can make a big difference. The aroma is strong enough to fill the room with a pleasant scent, but not too powerful or annoying. You will only need a small amount no matter which way you decide to use it because a little bit will go a long way. When used as a perfume, or when placed in a misting fountain, you will only need a few drops, and when used in a warmer, it can be diluted and still will smell great. For use in a misting fountain, you will only need a few drops, and you will want to add it straight to the water. As soon as you turn the mister on, it will begin to diffuse the fragrance into the air in a very efficient manner. Within minutes you will smell the effects, and soon after the whole room will be filled with a pleasant aroma. Because it works so efficiently, you will only need a small amount of oil for each bowl of clean water. Be careful not to add too much, because overuse will cause residues to build over time, and that will reduce the life of your mister. If used in the proper amounts, it can add benefit without any risk to the misting device. Patchouli is a widely used fragrance because many people love the smell. It also helps to induce relaxation, so it can be very calming when added to the air in your home. It has been used throughout history to treat headaches, colds, nausea and more, so it would be a great oil to use in any home. Using fragrance oil instead of aerosol sprays is a safer and more healthy way to make your home smell good. It can offer the same level of deodorization as any off the shelf spray, but the way in which it gets into the air is much better for your body. Add it to a misting lamp, oil warmer or other fragrance diffuser to spread the smell around thoroughly. If you already have a misting fountain, then adding some oil to the water will offer a whole new experience. It can also be used right on clothing, skin or other surfaces as a perfume, but it is not meant to be ingested. Add a pleasing scent to the air in your home without the use of dangerous sprays or harsh chemicals. This patchouli fragrance oil will help you deodorize your home with a safer, more natural method, and it will relax you as it promotes a gentle state of calm feelings. Order Yours Today. 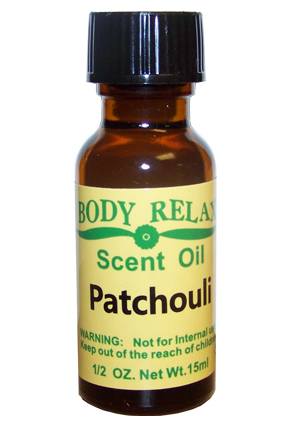 Patchouli Fragrance Oil - Add aroma to your home the safe and natural way. Use this quality fragrance oil to add a pleasing scent to the air in your home. Order Yours Today! My husband loves it! He will order more in the future. I love this fragrance, but it is way too weak to use with the spa mist fountain that I purchased. The dirrections say one drop. That just doesn't work for my fountain. 4 Gliders & 4 Grabbers. Get a Grip, Or Add Some Slip!